With new sanctions placed on Iran in August 2018, a long-standing network of smugglers who, for decades, have facilitated the transportation of contraband from Iraqi Kurdistan to Iran are reaping the benefits. 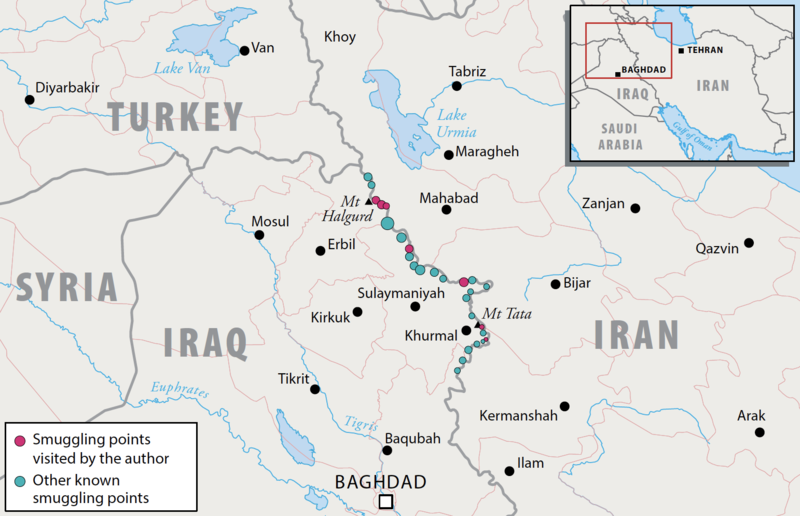 This report focuses on Iraqi Kurdish smugglers who transport goods to the border with Iran, and Iranian Kurdish couriers who, undertaking the most dangerous part of the journey, carry the goods across the border. Often featuring dramatic images of couriers setting forth on foot over challenging mountainous terrain carrying goods that many people would struggle to lift, let alone transport for up to 16 hours, this story has been covered by international media. But there has been no study relating specifically to how these renewed sanctions on Iran are affecting this smuggling trade. Nor has there been any in-depth study on the types of goods – from wholesale foodstuffs and electrical items to weapons and narcotics – that are smuggled across this border region. This report examines the impact of the sanctions on Iran in terms of how they may continue to fuel commodity smuggling while enriching the criminal networks behind this illicit trade. Tom Westcott is a British freelance journalist based in the Middle East, writing mainly about Iraq and Libya. Westcott contributes regularly to Middle East Eye and the humanitarian publication IRIN, and has written for The Sunday Times, The Times and the Daily Mail. Afshin Ismaeli is a Kurdish-Norwegian freelance journalist and photographer based in the Middle East; he contributes regularly to Aftenposten.